Original Sin Art: 12 Days Of Making, WINNER ANNOUNCEMENT! 12 Days Of Making, WINNER ANNOUNCEMENT! 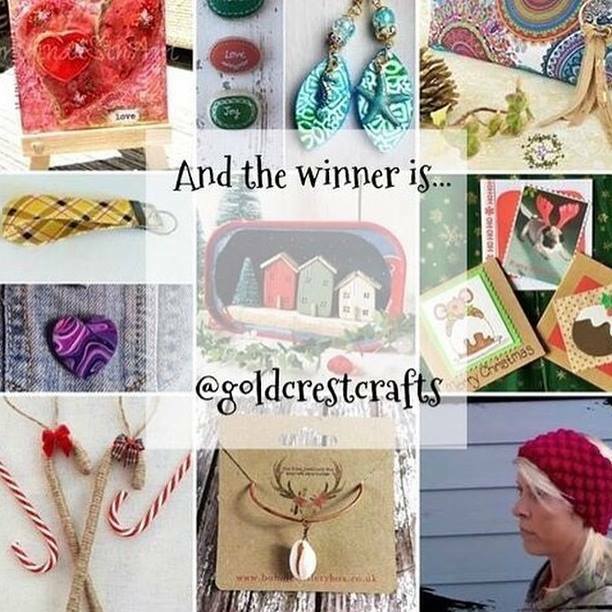 Congratulations to Rebecca of Goldcrest Crafts for winning our challenge! Lucky Rebecca will will all those lovely goodies you see in the second pic. One prize from each of us who hosted. Thank you to everyone who got involved and brightened up our feeds with gorgeous pics of festive crafts and cosy traditions. I am honoured to have been a part of this, and special thanks of course go to our main host Clare, as well as all the lovely artists who took turns to host each day. It has been so lovely getting to know you all better and see your gorgeous art. Thank you! 12 Days Of Making, Day Twelve. 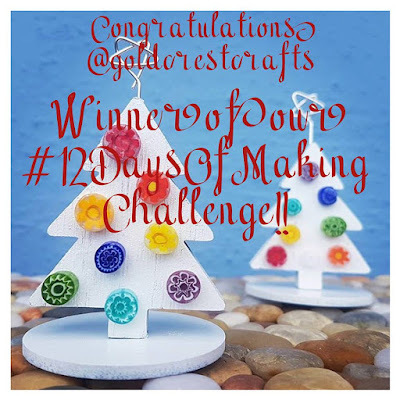 12 Days Of Making, Day Eleven. 12 Days Of Making, Day Ten. 12 Days Of Making, Day Nine. 12 Days Of Making, Day Eight. 12 Days Of Making, Day Seven. 12 Days Of Making, Day Six. 12 Days Of Making, Day Five. 12 Days Of Making, Day Four. 12 Days Of Making, Day Three. 12 Days Of Making, Day Two. 12 Days Of Making, Day One.